Low, photo credit Shelly Mosman. I mentioned a few months ago that Low are about to release a new album, entitled Double Negative. Coming out once again on the legendary Sub Pop, the tracks released so far to do the rounds are a sign that the band have taken a radical step and embraced electronics. Overwhelmed by submissions over here at 17 Seconds Towers, ‘Disarray,’ taken from the album, is simply stunning. As in: one of the best tracks I have heard this year. At first, it might even seem like radio interference, and then the vocals kick in. It’s like hearing ELO over some of the noughties finest noise acts, something that sounds so wrong it can only possibly come together. 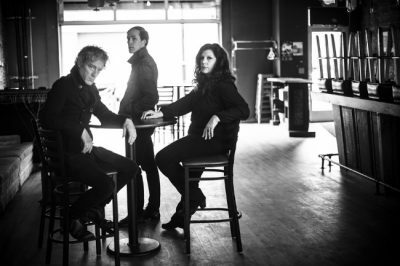 It continues to bode well for the new album, and shows that twenty-five years in, the trio from Duluth, Minnesota are continuing to challenge listeners. Bring on the album! This entry was posted in Low by Ed. Bookmark the permalink.